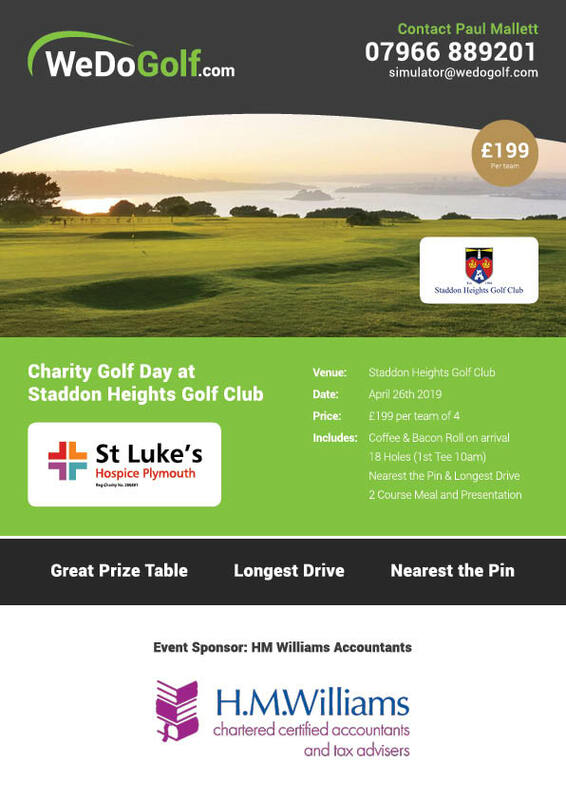 St Luke’s Hospice Plymouth are holding its 3rd annual golf day on Friday 26 April at Staddon Heights Golf Club. The Golf day is being sponsored by H M Williams and organised and run by WeDoGolf.com. Over 25 teams have already booked and registered to play with space for only 4 more teams at £199 per 4 ball. We also have 5 holes left to sponsor at £100 per hole. Please contact Paul at WeDoGolf on 07966 889201 or Nikki Keen at St Luke’s on 01752 492626 for more information.